Transitioning to the full National Disability Insurance Scheme has the potential to trigger large-scale economic growth and job creation in Western Australia, despite the state’s future operational status within the national scheme being still unclear, according to a new report. The WA arm of Australia’s peak body for disability service organisations, National Disability Services (NDS) has released its Disability Services Sector Industry Plan showing that the total economic contribution of the disability sector in WA would increase from $1.4 billion to $2.7 billion in 2020. The NDS WA estimated that the number of jobs generated by the NDIS in WA would also double over the next three years, rising from 10,507 in 2017 to 20,144 direct and indirect full-time jobs by 2020. In its recommendations, the report called for state government funding for transition planning particularly in regional areas including service delivery innovation grants to “fund the trial and/or implementation of innovative service delivery models in the WA disability sector”. 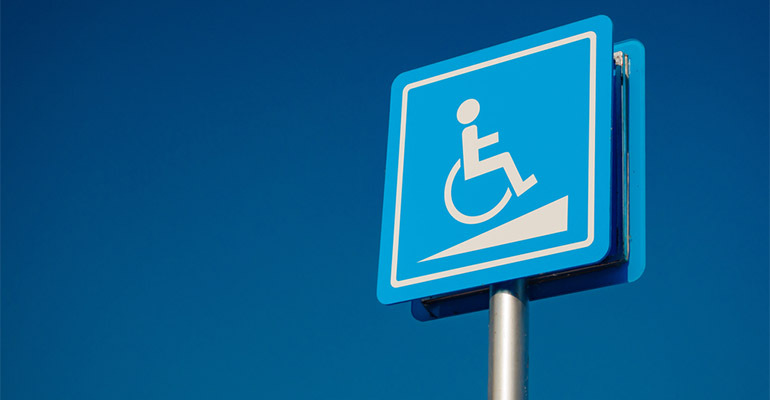 “Innovation in service delivery will be critical to ensure that service providers are continually improving the way in which the needs of people with disability are met, and also ensuring that they remain financially sustainable,” the report said. Launched by the WA Minister for Disability Services Stephen Dawson at the NDS state conference on Monday, the industry plan highlighted the need for a close working partnership between the state government and the disability service sector to improve the lives of people with disability. NDS WA commissioned ACIL Allen Consulting to research the contribution and potential of the WA disability sector under the NDIS. The report’s release came as Western Australia remained undecided on how the NDIS would operate within the national scheme. In the other states and territories, the transition to full-scheme implementation of the NDIS started in 2015-16, but it was pushed back in WA, where a trial and evaluation of a state governed NDIS was compared to one that was governed by the National Disability Insurance Agency (NDIA). Following the evaluation of the trial sites and negotiation between the WA and Commonwealth governments, a bilateral agreement was signed on 1 February 2017 specifying that the NDIS reforms would be implemented in WA under state based legislation. As part of the agreement, the WA state based legislation had to be consistent with the National Disability Insurance Scheme Act 2013 on matters relating to eligibility and access to supports provided through the NDIS. Before the WA state election a new WA NDIS authority, governed by a seven member independent WA board, was given responsibility for the implementation and administration of the NDIS reforms. The newly elected WA Labor government however said it was consulting with the sector and deciding whether to continue with the current bilateral agreement, or whether to cancel it and transfer control of the administration of the NDIS in WA to the national NDIA. The Western Australian version of the NDIS had been previously slammed by the man known as the “father” of the scheme, Bruce Bonyhady who described the separate WA scheme as “deeply flawed”. A decision by the WA government is expected in October. NDS WA state manager Julie Waylen told Pro Bono News the industry plan was a “unique evidence-based document for both the sector and the state government to put people with disability at the heart of the plan”. “The success of the NDIS in WA relied on organisations having a quality and skilled workforce that could meet demand, strengthen safeguards and adapt and implement the changes required,’’ Waylen said. “We are keen to see a disability workforce that is contemporary and high performing, where we can attract and recruit the right people to the right jobs. “In WA this will require significant investment and support from the state government to ensure we can meet the expected increase in demand and deliver good outcomes that make a difference to the lives of people with disability. “Without a coordinated, strategic approach to change management, there is a risk that growth in demand will outpace supply and that service innovation will be impeded. Read the highlights of the WA Disability Services Sector Industry Plan here. The GST, the Western Force, the Western Reds, the AFL. The trend is clear. When the eastern states don’t need you, they will screw you and leave you … with the debt. Bruce Bonyhady and his comments of the WA system are somewhat irrelevant. He has a conflict of interest and criticisms of another system being ‘deeply flawed’ is rich coming from the previous Chairman of the NDIS. Look after your own problems first. There has been some criticism of the Labor State government delaying their decision. From a risk management perspective it is the most reasonable option. The national version is facing significant systemic challenges particularly in NSW. It is akin to watching a slow moving train wreck. The result will be a major reduction in supply that will be unable to meet the pent-up demand. Until these systemic issues are resolved it would be preferable for WA to bypass the national system. Negotiations may then be easier if WA Labor is in discussions with potentially a national Labor Government.